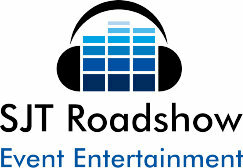 SJT Roadshow is committed to ensuring that your privacy is protected. Simon Tucker of SJT Roadshow acts as Data Controller and Processor for SJT Roadshow. We may collect your name and contact information including email address on this website so that we can understand your needs and provide you with a better service, including to respond to your messages. · The right to object - you can say no to certain data use such as profiling for marketing purposes. · The right to rectification - you can ask us to have incomplete data completed. · The right of access - you have the right to know what data is being processed and how. We'll only ever store your personal information for the time we are working with you or if you have asked us to send you newsletters. If you unsubscribe, we will delete your information stored for this purpose. If you ask us to contact you via the contact form on our site, we will contact you by email or phone. Please inform us of any changes to your contact information. If at any point, you prefer not to receive such calls or e-mails, please let us know.